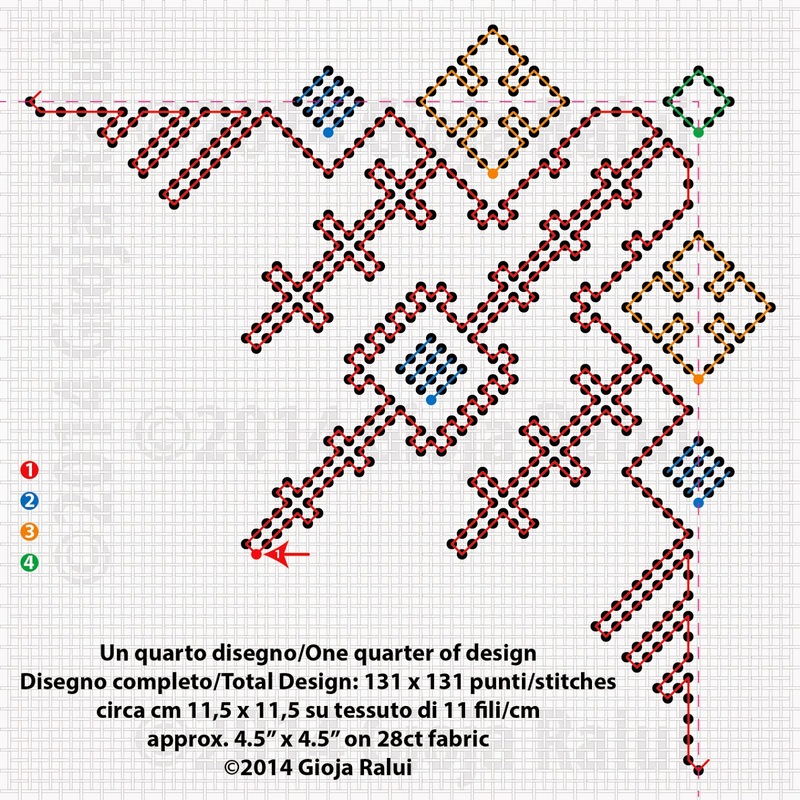 Saturday I'm going to Italy... well, not really, but it's as close as I can get right now - I'm going to the EGA National Seminar in Phoenix, Arizona and Vima deMarchi Micheli is bringing over some Italian embroiderers, similar to the EGA National Seminar in San Francisco in 2010. 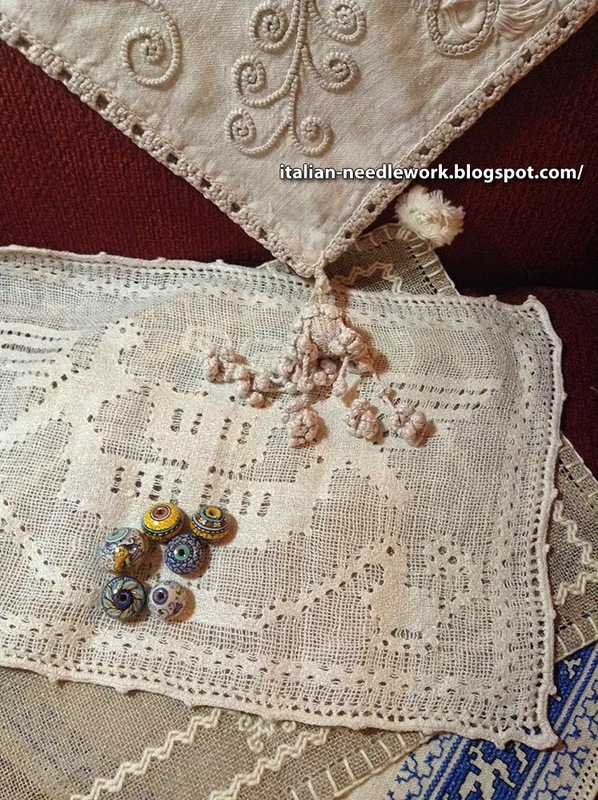 I can't wait to see the ladies again and I've been saving my pennies as they always bring stitching supplies, books and patterns, kits and stitched pieces from the Italian province of Umbria. I've been told that there will be stitched pieces for sale in the following embroidery styles: Assisi, Catherine de'Medici, Antique Umbrian, Perugino, Antique Deruta and embroidery on Tulle as well as the Orvieto and Irish Crochet Laces. 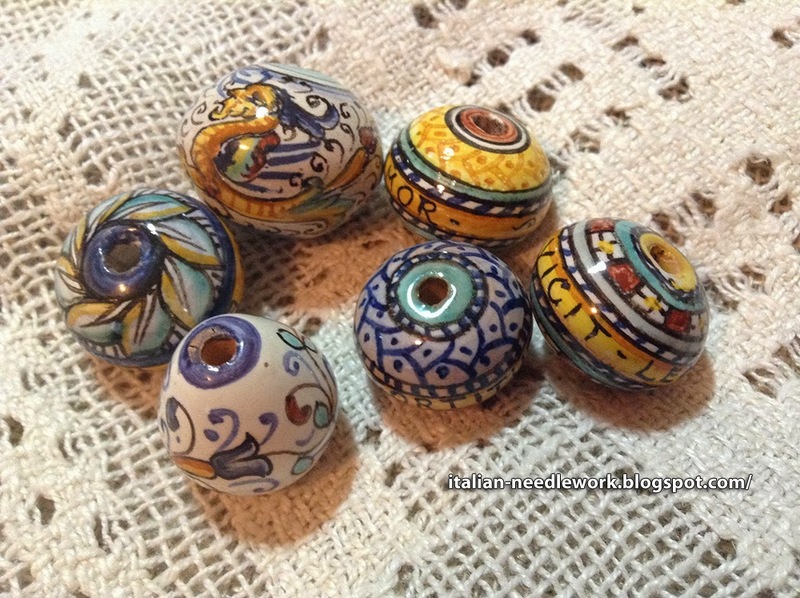 There will also be ceramic beads, buttons and fuserole from Anna Lisa Piccioni of Deruta as well as threads and fabrics for executing the above-mentioned techniques. Italian linens!!! 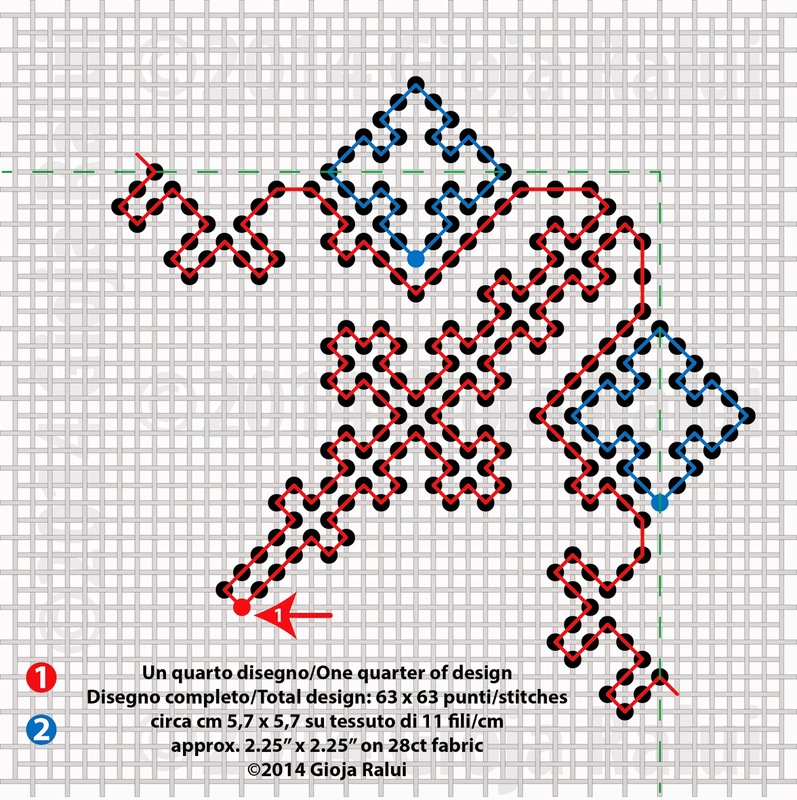 I believe that there will also be handwoven works from the Giuditta Brozzetti Workshop. I am drooling at the thought of Merchandise Night on Tuesday, October the 21st! There are going to be Italian teachers demonstrating Assisi, Catherine de'Medici, Perugino and Antique Umbrian Embroidery as well as embroidery on Tulle. I hope they will be doing tassels too but I don't have confirmation on that one. The ladies won't be taking credit cards so come prepared, I can't wait!!!! 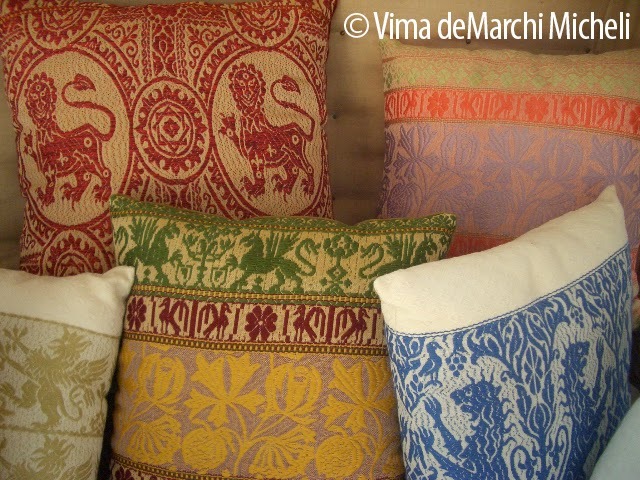 Thank you Vima for the use of your photo! First, I'd like to thank everyone who has purchased it and especially those who published their book reviews on Amazon. I must admit that I was particularly pleased to hear that many of those who reviewed the book had appreciated the clarity and comprehensiveness of the instructions. Secondly, for those who would like to purchase it, the book is available through Amazon. Proceeds go to the Mission of Camp Garba in Isiolo, Kenya. Well then, after this dutiful introduction, let's move on to the reason that I asked a few friends for space on their blogs (see also TuttoRicamo and Ricamo e… altro). 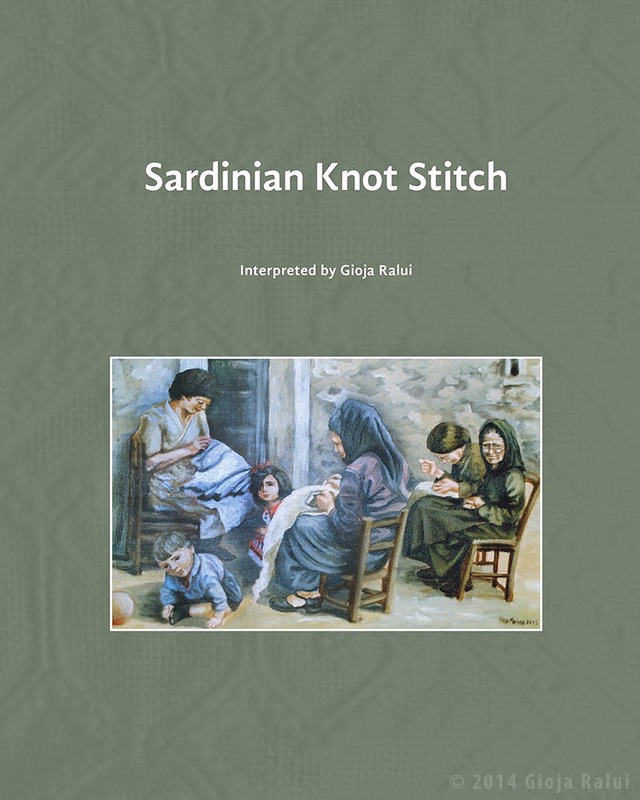 We are already into autumn, by now the summer holidays are just a memory and we are settling down to our usual routines… so I thought: why not give those Sardinian Knot Stitch enthusiasts an idea, a little inspiration if you will, for a Holiday Season gift? 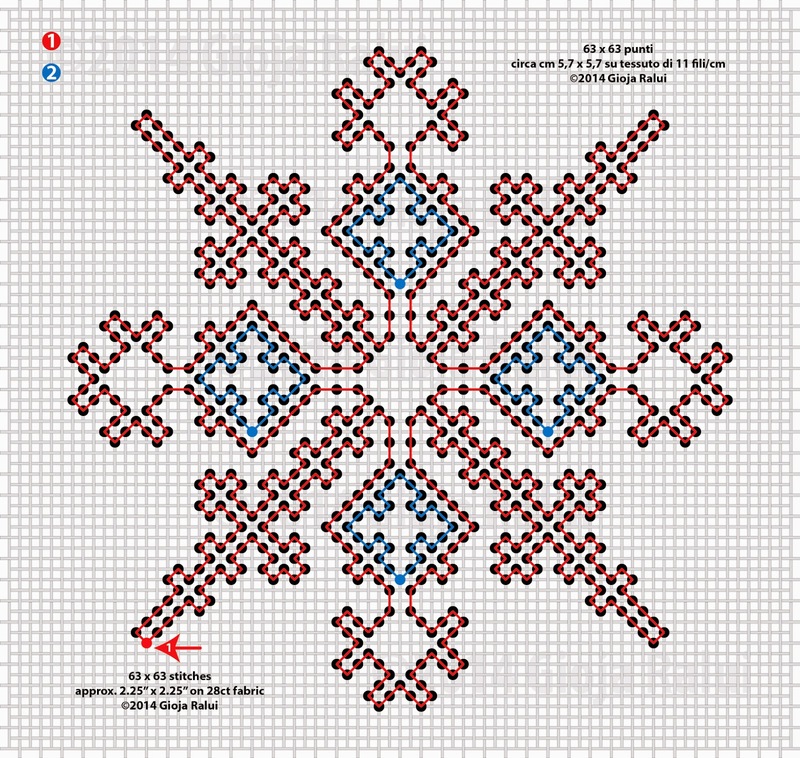 So here they are for you – my snowflakes: a small one for those who are still exploring this technique and a bigger one for those who are feeling pretty comfortable with their ability. 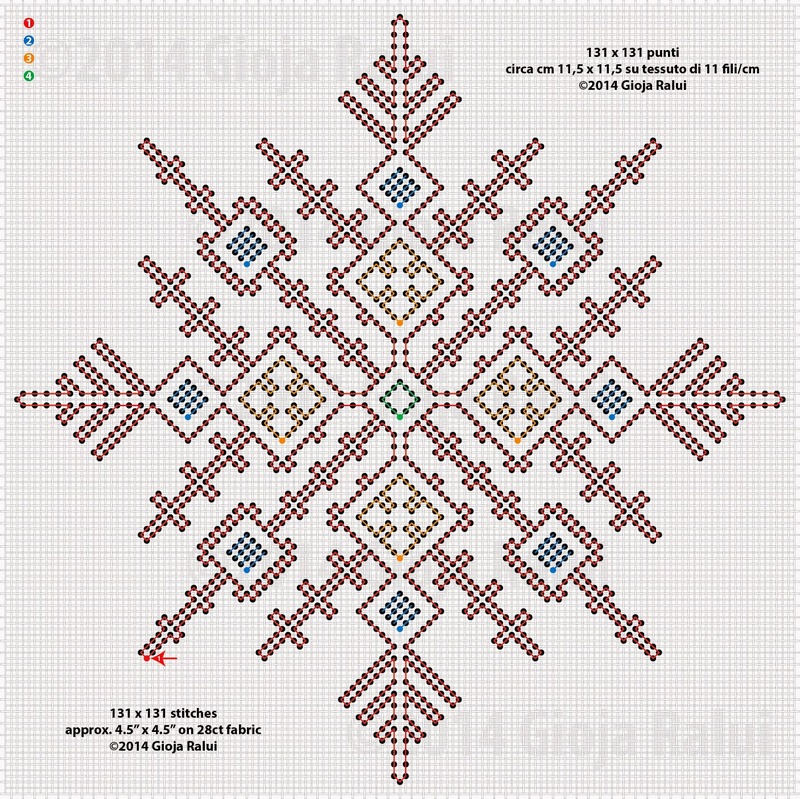 For each snowflake there is a complete design, to give you an idea of the final result, and an enlarged pattern of one quarter of the motif so as to be more readable. Thanks again for the hospitality and attention and good luck! I'll leave you with my email address.